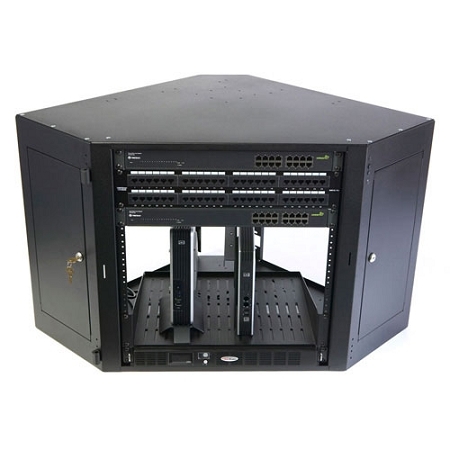 Having your network switches, routers, and modems neatly organized makes your network environment easier to maintain and monitor which is why we recommend this Kendall Howard wall mounted equipment rack to setup your network infrastructure. 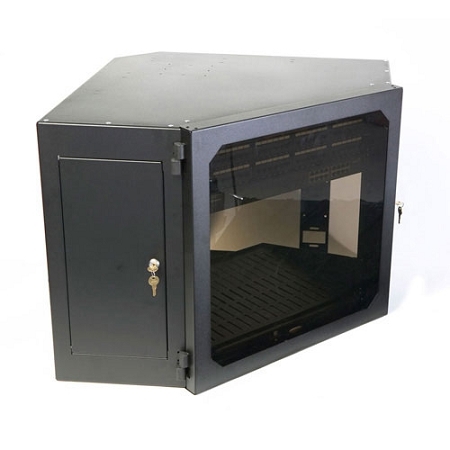 Not only will you save space but also money. 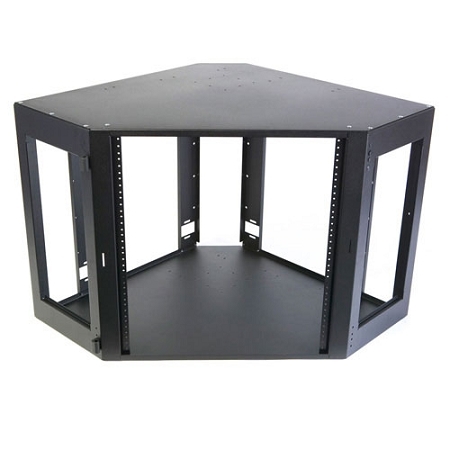 The 12U Corner Wall Mount Cabinet is a user-friendly network equipment rack that mounts in the corner of your office saving you valuable wall space while providing all around monitoring capabilities and excellent airflow to keep network components properly cooled. 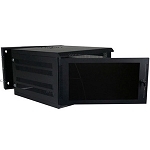 Making changes or troubleshooting equipment is simple due to the ample dimensions of this durable wallmount cabinet. 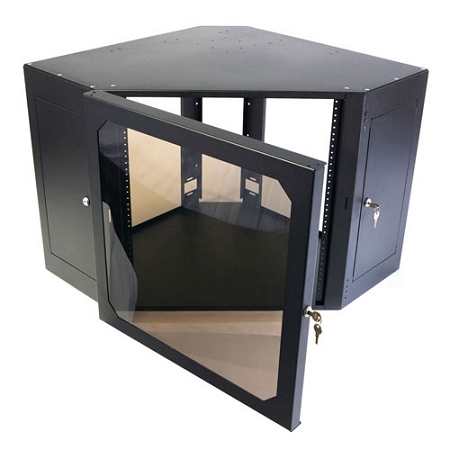 With a reversible lift-off door, you can customize your network equipment cabinet to open to the left or right. 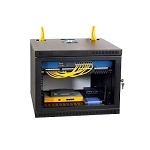 No need to drill holes on the back of this 12U corner wallmount cabinet as its open back design allows you to run all your cat5, cat6, coaxial, and fiber optic cables before mounting the wall mount rack to the wall. 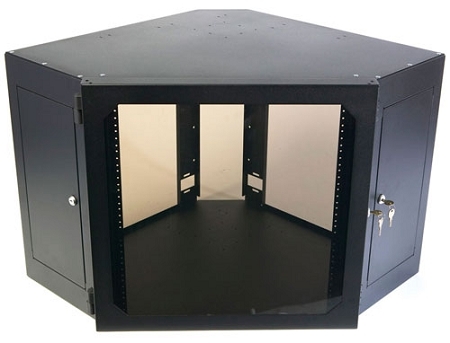 Installing this wall mount server rack in a school classroom, utility room, or small office is simple and can be accomplished by one person due to the illustrious mounting system incorporated into the design of this network wallmount cabinet while still maintaining a 650 pound load capacity. 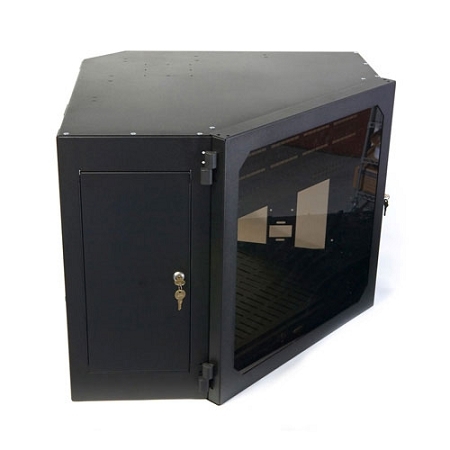 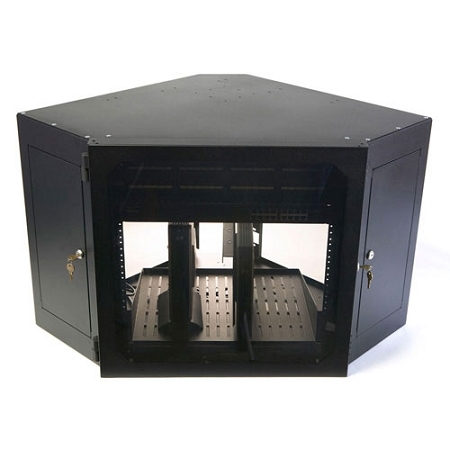 This 12U wall mount server rack comes in a black powder coat finish and comes with a limited lifetime warranty. 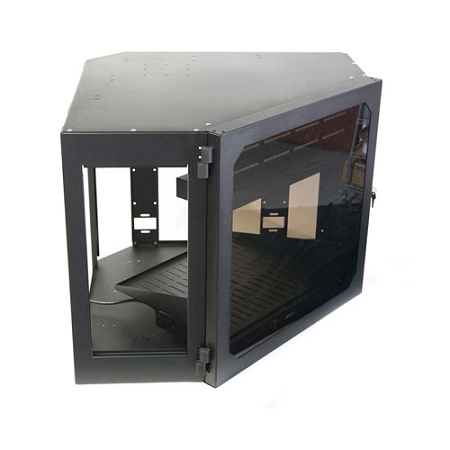 Width: 27", Length: 27", Height: 22.5"